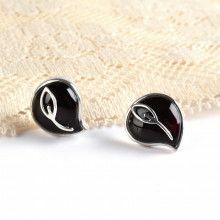 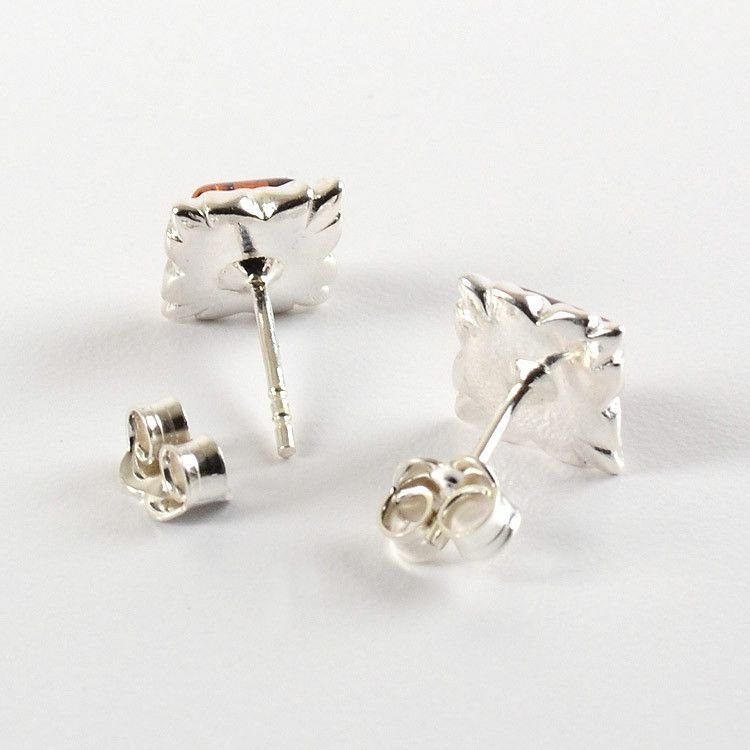 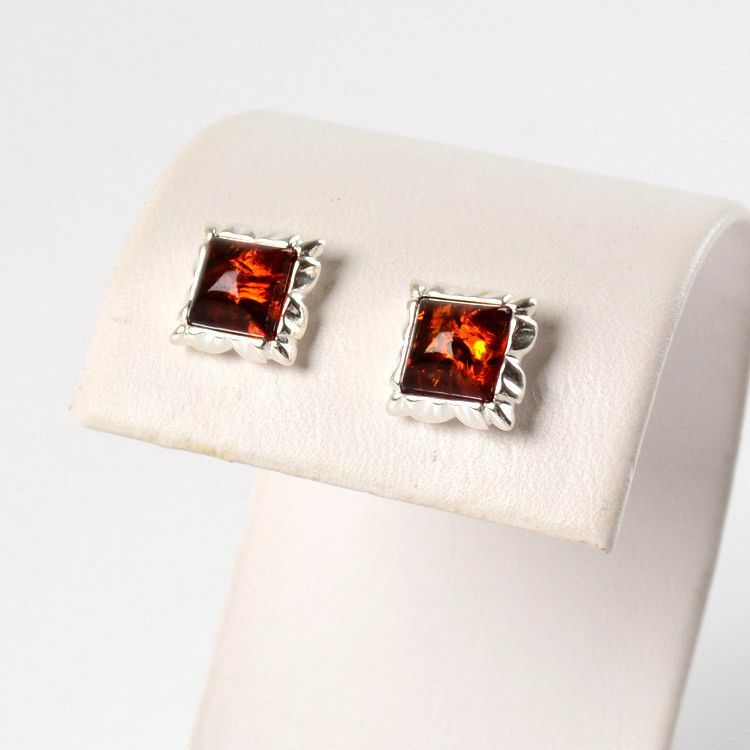 These delightful earrings are about 5/16" x 5/16" in size. 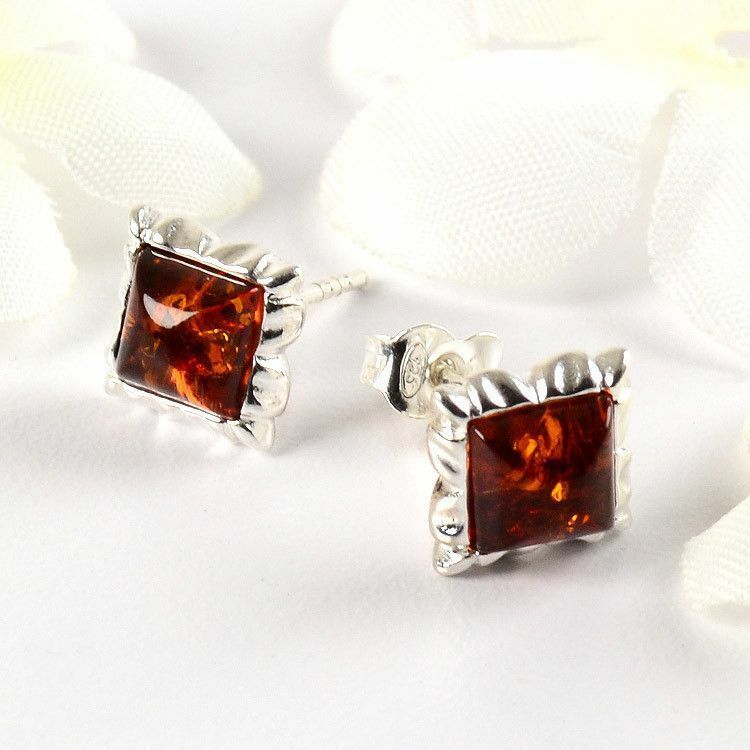 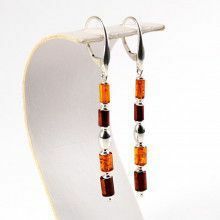 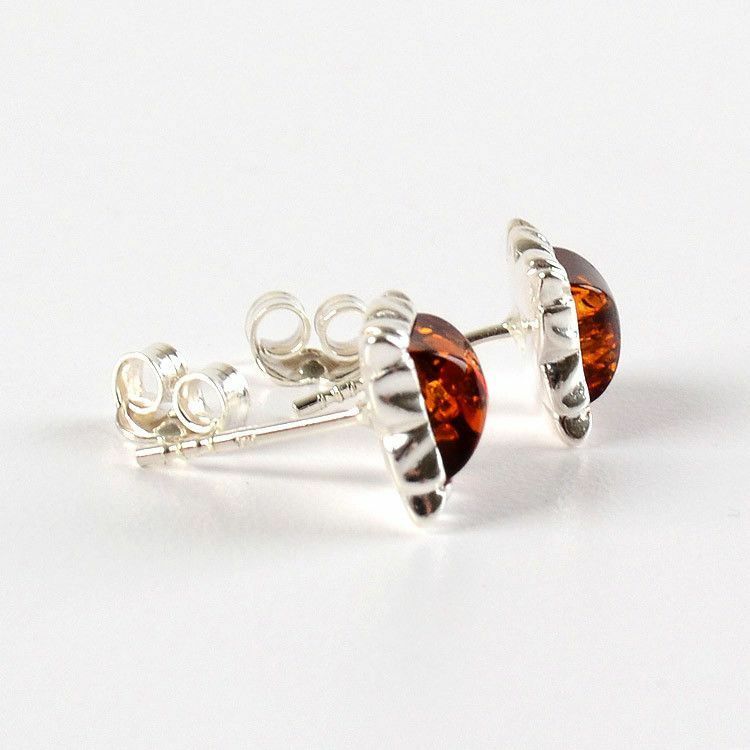 Genuine Russian amber set in sterling silver makes for beautiful jewelry and these amber square earrings are no exception! 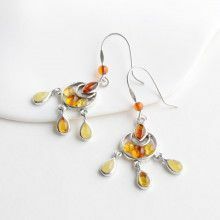 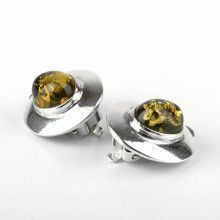 The silver surrounding the mystical stone of amber has been slightly stylized for added texture and shine.